Post Planner fans are amazing! I'm blown away by the high-quality Facebook pages run by our users -- and the wide array of niches those pages cover. While looking for fan pages to review, I recently asked Post Planner fans to suggest Facebook pages for me to evaluate. I loved looking through that list! Of course, some pages stood out above the rest. 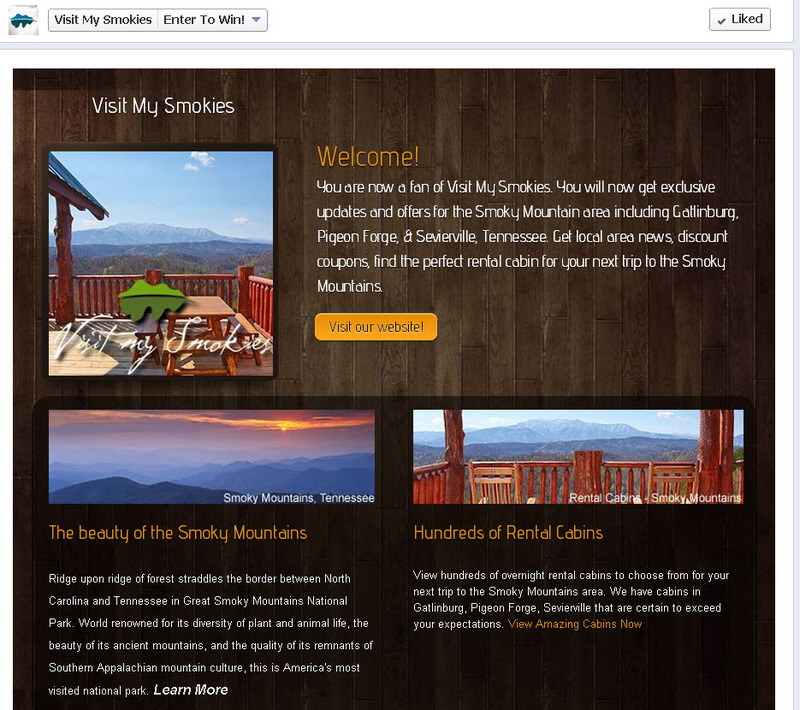 And one of those pages was Visit My Smokies. 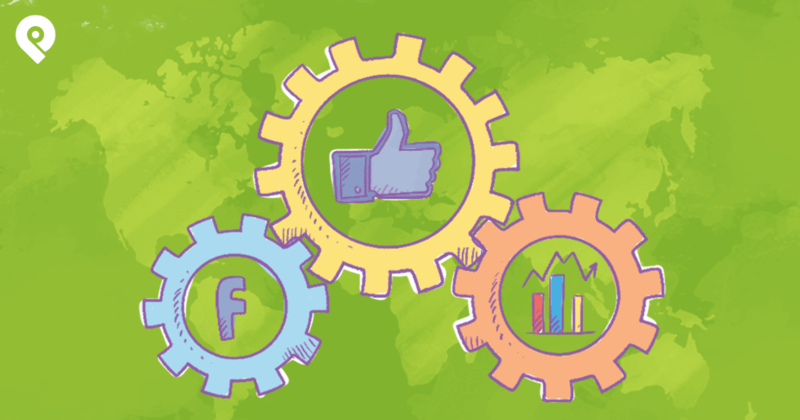 In this post, I'll dig into this fan page to show you 12 Facebook tips and tricks for anyone trying to run a successful Facebook business page. 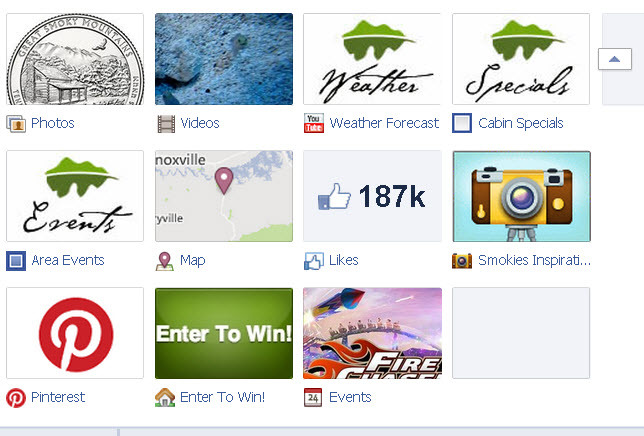 First I'll identify 6 things Visit My Smokies is doing right & then I'll offer 6 ways the company could improve the page. 6 Things this Fan Page does right! The imagery is amazing and really draws me in -- I picture myself standing near this river enjoying the view. 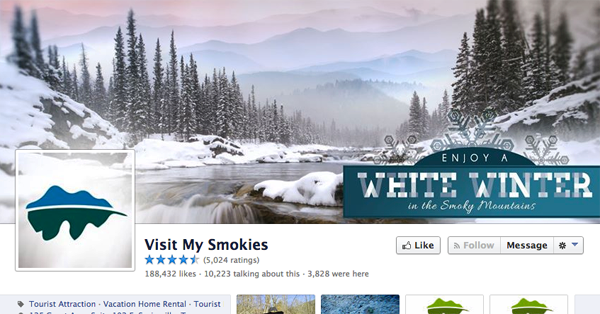 Along with the image, the subtle banner saying "Enjoy a White Winter in the Smoky Mountains" is fantastic. Many business owners on Facebook can't pull this off -- and while it's not necessary, incorporating a profile pic into the cover photo well is something I love seeing. The creator of these images did a fantastic job aligning them -- something most people mess up! I know I would, seeing as I'm horrible at designing social media graphics. The combination is subtle & soft-spoken -- but it works. That made sense since the page (and business) is about the outdoors, trees & mountains. But look again. I'm mean, really look at it. 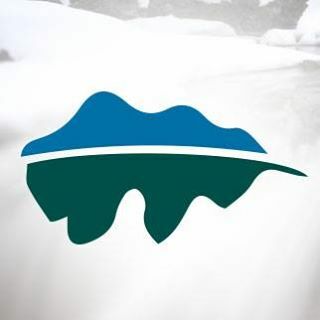 The logo is also a mountain range -- blue Smoky Mountains reflected in green! Mind BLOWN!... I love this! Not only is the image creative -- it's memorable & provides strong branding. I've explained before the importance of your Facebook profile pic -- making it clear that the profile pic is the image your company will be known for around Facebook. This is the image people see alongside every one of your posts in the news feed. 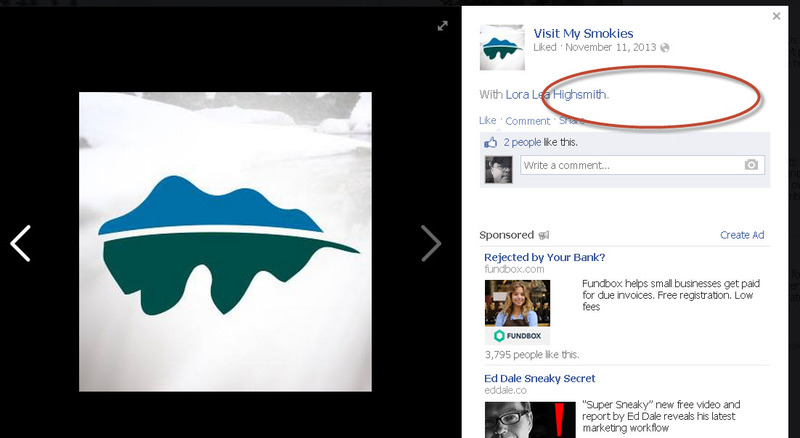 And the profile image for Visit My Smokies instantly tells me where their posts are coming from. Not only do they have great apps on the page -- they get a gold star for not leaving the annoying Like count box visible above the fold! Instead, I find the fan count by clicking the arrow with the 7 -- that's the number of apps not visible in the app thumbnails at the top of the page. What is a bit sneaky -- and I love it -- is that this looks like a video. But what happens when I click the play button? I'm taken to their website where a YouTube video provides the latest weather information from a local weather forecaster. 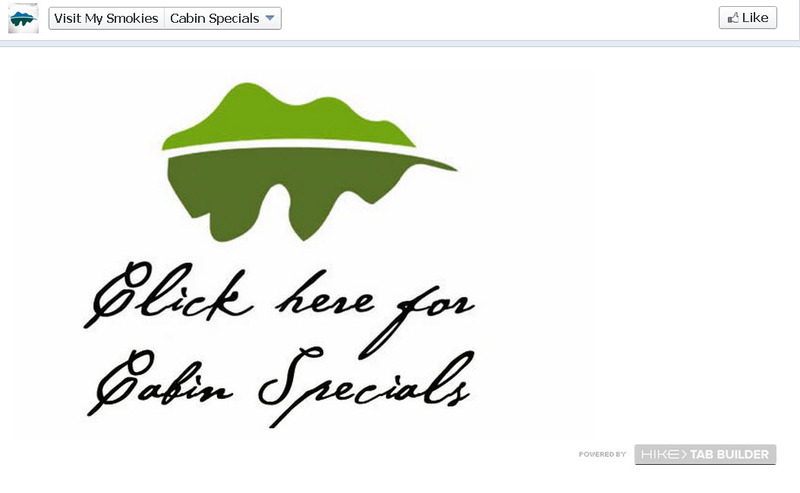 Taking me away from Facebook to an interesting landing page is a fantastic way to drive traffic to their website. Once you're on their site you can sign up for their newsletter, view local events, etc. If the app had kept me on their Facebook page -- I'd have just watched the video & moved on. The way it's set up now, visitors are spending time on their website watching the forecast & hopefully navigating to other pages. 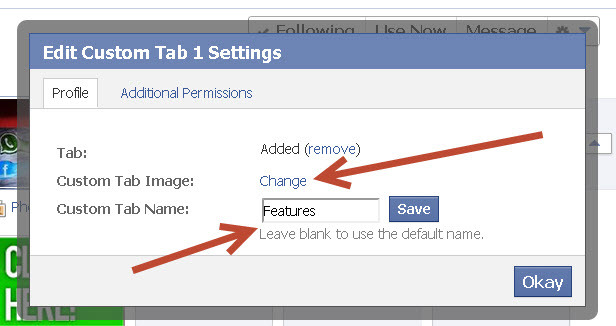 I'll get into ways Visit My Smokies could improve the tab apps later in this post. When it comes to convincing followers to Like, share & comment on posts -- successful Facebook pages use clear calls-to-action. Vague or boring posts do not get fans to take action. Posts with strong calls-to-action get more Likes & comments. Post by Visit My Smokies. Asking fans to "Click LIKE" to wish Dolly a happy birthday got Visit My Smokies about 7,000 Likes -- nearly 4% of their fan base. That number may SEEM small, but once you get more than 10,000 fans on a page -- those percentages tend to decrease dramatically. I'm not sure how many people visited the link in the post, but the call-to-action was clear & concise -- and the post compelled me to click! This update also has 600 comments & has been shared almost 400 times -- a HUGE win for the page. I see these page managers responding to nearly every comment left by followers -- which is imperative if you want to build a robust, engaged community of fans. The worst thing you can do is blast out posts & never reply. 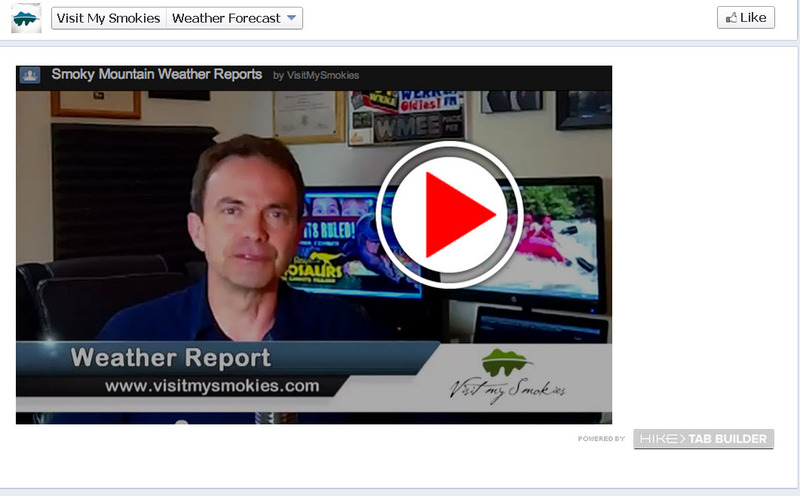 The page is large & receives lots of comments -- but folks at Visit My Smokies make it a priority to reply. Many pages this size might just post & not worry about interacting with fans. But these page managers understand what it means to build relationships with fans! All page owners should reply this well to members of their community. 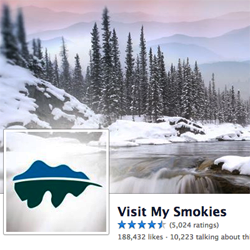 As with any Facebook page, not everything on Visit My Smokies is done perfectly. Every cover photo should have a description & website link in the caption. Not doing this squanders an opportunity to say more about your page & drive traffic to your website. Simply load the cover photo then click "Add Description". Write something about the image & include your business website & phone number. This cover photo has been shared about 50 times & has more than 900 Likes -- which means many of the Facebook friends of these 950 people could have seen this image in the news feed. If the average person has 150 friends -- that's possibly more than 142,000 missed opportunities to say more about your business & website. That's a lot of revenue left on the table because of a non-optimized cover photo. As with the cover photo -- you MUST add descriptions & website links to your profile images. More missed traffic & sales. 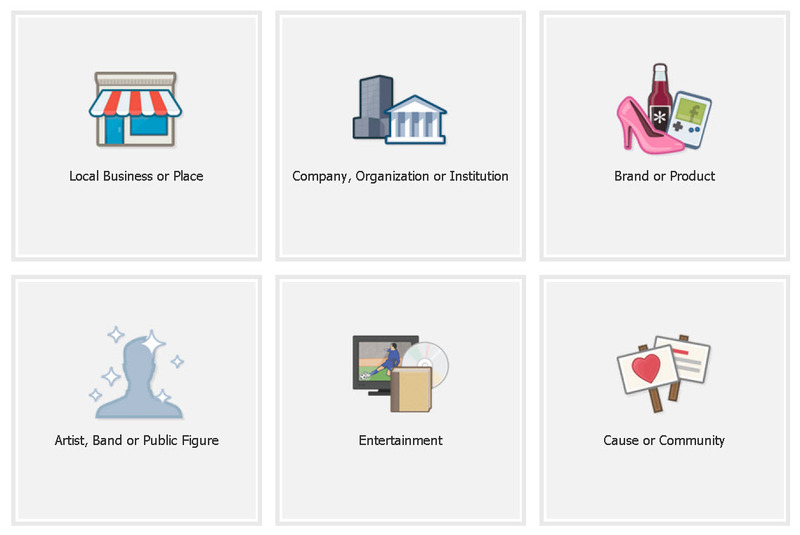 The About section is a critical part of your page. 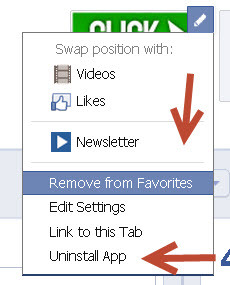 And your options change based on how you categorize your fan page with Facebook. This is a bad move in my opinion -- because it causes Visit My Smokies to miss the opportunity to drive traffic to the website. They are providing a map with their address -- but it appears to be just an office in Tennessee. Why do I need this map if I am visiting the Smokey Mountains? Visiting this office is likely not on my vacation itinerary! The phone number is helpful, but the page still misses out on web traffic -- which should be one of the #1 goals for their Facebook marketing. While I love what they did with the Weather Forecast app -- I'm not crazy about other apps on the page. Click it & you're taken to their website. I liked this tactic with the Weather Forecast app -- but the image here isn't as compelling. I'm not motivated to click because I know I'm going to be taken away from Facebook to some website I may not want to visit. Sometimes trying to be sneaky or cute can backfire! I'd rather the specials be listed on Facebook & have them up to date -- or see a more enticing image that makes me click (like the fake video image on the Weather app). This is a HUGE no-no! And grounds for me to unlike a page. Perhaps there was content there at one time -- I don't know. Never leave a dead app on your fan page. It's Facebook suicide! 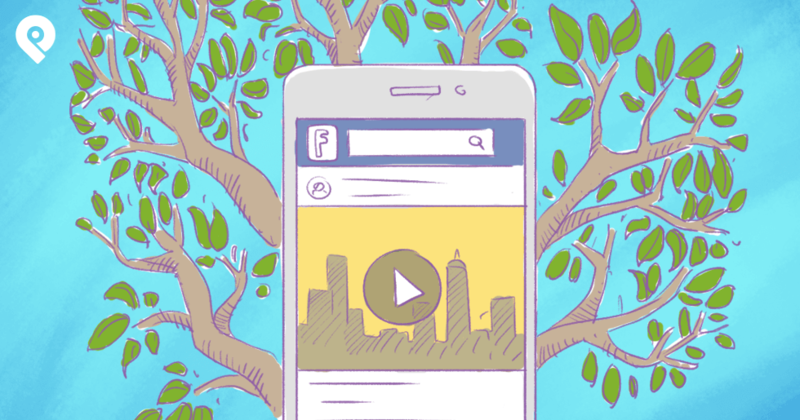 Vibrant apps help Facebook pages succeed. 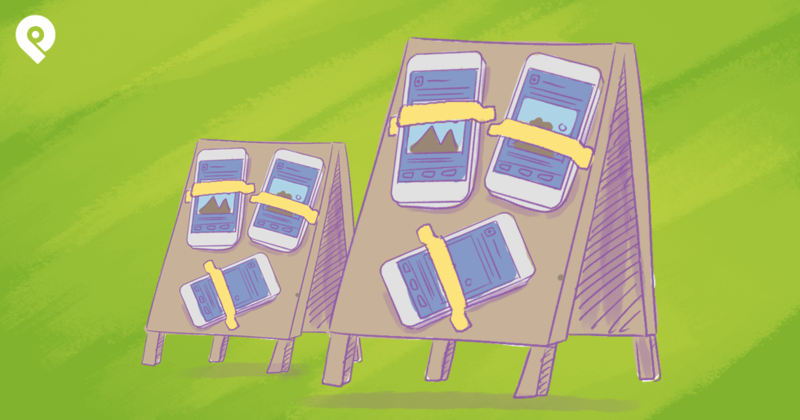 But if you run a contest or promotion, remove the app from your page when the event is over. Leaving a dead app on a fan page just looks unprofessional. It's like inviting people to dinner & serving empty plates. Get rid of dead apps by clicking the pencil icon on the upper right corner of the app thumbnail. I personally pick "Remove from Favorites" so I can edit the app later & make it available again to fans for new promotions. I'm kind of harping on page apps here -- but doing apps right is critical for any company trying to increase engagement on Facebook. Great looking app, awesome content -- but did you notice that something is missing??? Where's the contest? Where do I enter to win?! My guess is this app was done by a 3rd party app company. Once the contest was over, Visit My Smokies changed the content but failed to update the name of the app & the app thumbnail. 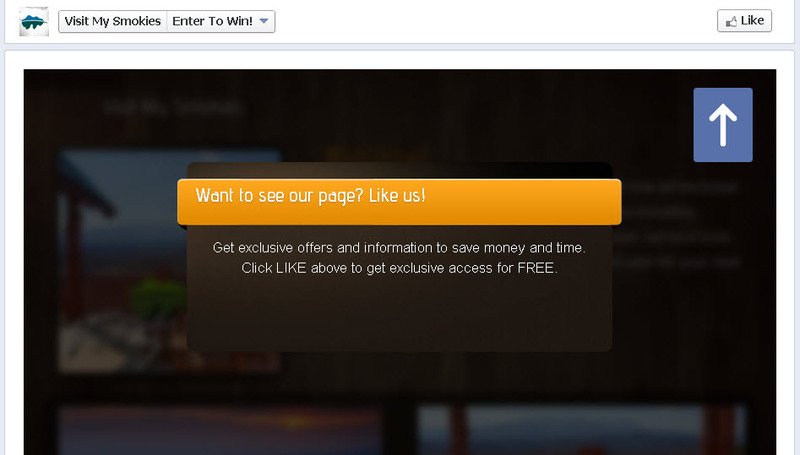 Many will see this as misleading -- as you forcing them to Like the page to enter a contest that doesn't exist. 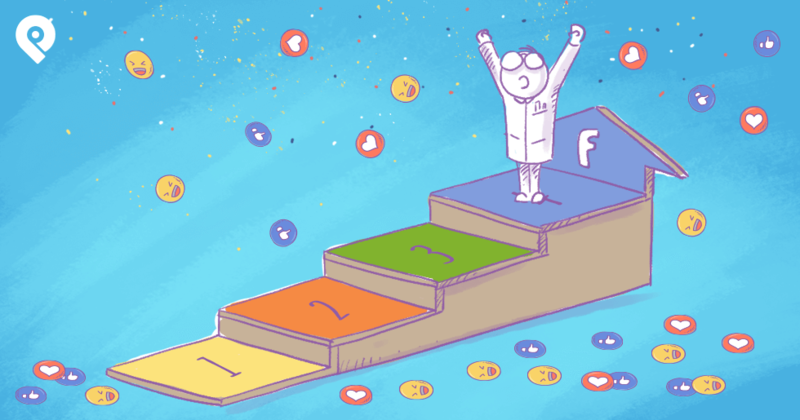 How does your Facebook page measure up? Now that I've critiqued Visit My Smokies, head over to your own page & make sure you implement these 12 Facebook marketing tips. Tell me in the comments below what you're doing right -- as well as the stuff you need to work on based on my advice. Drop a link to your Facebook page in the comments & maybe yours will be the next page I pick it to review!